Are Smartphones And Tablets Killing The Traditional PC? In the early days of the Internet, there was only one device that enabled you to access it. That was the desktop computer. Laptop computers have existed for as long as desktops have, but due to hardware limitations, they never really became a viable alternative. In a technical sense, laptops are “mobile” devices, but still require the user to be seated to use. It hasn’t been until recently that we have seen truly mobile devices. The first smartphone was invented in 1992, three years before the term “smartphone” even existed. It was IBM’s “Simon,” which was a cellphone with a monochrome LCD touchscreen and a stylus. It was the first phone was able to send faxes, pages, and emails and it was even capable of running third party applications. It came with built-in features that are so commonplace on today’s smartphones that most people take them for granted, such as a calendar, a notepad, a world clock, and a way to schedule appointments. Simon didn’t sell well and its $899 price tag surely didn’t help move units either. For comparison, that’s the same purchasing power as $1607 in 2018. It wasn’t until Apple’s iPhone in 2007 that the modern smartphone became mainstream. IBM was able to sell a total of 50,000 Simon smartphones over its entire lifetime, a number that is dwarfed by Apple’s 1.4 million iPhone sales in the first year of its existence. Hardware advancements in recent years have made smartphones powerful enough to perform all the basic functions that consumers were using desktops for in the early days of the Internet. Smartphones are also priced lower than their desktop counterparts. Sure, if you compare the price of a brand new, top-of-the-line smartphone to a much more powerful desktop PC you may find that the desktop by itself is less expensive. But for a desktop to function you also need peripherals like a monitor, keyboard, a mouse, speakers, etc. You also need a desk, a chair, a constant source of power, and, in most cases, an entire dedicated room. One could make the argument that you need to pay for a cell phone service to be able to use all the functions of a smartphone, but that isn’t much different than paying for an ISP. In 2010, Apple made yet another mobile device that would change the tech world forever: the tablet. Tablets are essentially large smartphones although they aren’t typically used to make phone calls. Due to their size, they are capable of carrying stronger hardware than smartphones and they are easier to use as a practical tool in the workplace. There are even specialized “professional” tablets that are designed with detachable keyboards and Bluetooth mice that run the same operating systems that their desktop cousins do. They weigh less than modern “lightweight” notebook laptops, and have the advantage of a touchscreen. Their functionality comes at a steep price though, and it’s one that will be felt by your wallet. Most “professional” laptops will cost even more than the most powerful desktops and laptops. Each option has different pros and based on how you intend to use it. Although smartphones and tablets have been quickly taking over the home user market, almost all workplaces still use the desktop computer. The price per performance ratio is still in the desktop’s favor. It could be a very long time before mobile devices gain the functionality of a desktop while matching their price. 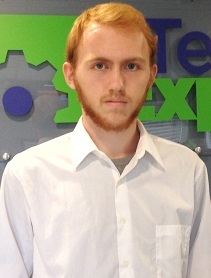 Evan Schendel is a help desk specialist for Tech Experts. As a computer ages, it inevitably becomes slower. Applications and files can slow down a PC as quickly as dated hardware or too much heat or dust can. Preventive maintenance is the first and most important step to keeping a computer running as swiftly as it did on day one. A computer’s storage can only hold so much and leaving it to sit and rot – especially if you browse the Internet frequently – can slow the system down to a snail’s pace. Simply by using the programs on a machine, a computer can amass files that, if not removed, can add up to multiple gigabytes of unused and unneeded data. These do, however, tend to clean themselves up in time. Unused applications, however, can take up space and slow down a system. Keeping in mind what applications you do and don’t use, and deleting the latter, can really help a workstation run much faster. Bar none, the hardware parts of a PC are the most important pieces of a system. After all, it’s the system itself. So, what do you do when hard drives begin failing and other mechanical nightmares begin plaguing your workstation? Replacing a system is easier than upgrading pieces of it at a time, but what are the benefits of replacing over upgrading and vice versa? A PC tends to last five to seven years if well-maintained, or three to four if left in disrepair. Replacing a computer every five years may be easier in the short term, but computers aren’t free and the costs can add up if you are replacing more than one system. Upgrading pieces of the computer cost only the part, but you would end up having to replace it yourself or have another person do it for you. Additionally, you may run into limitations on how much you can upgrade based on your other hardware’s or software’s compatibility. Upkeep of these parts is also important, so keeping the hardware installed cool and free of dust will extend the lifespan of the workstation quite noticeably. Malicious files are an obvious culprit when a computer is running slowly and, most of the time, it’s a fair assumption. There are any number of viruses that could slow a computer down drastically, but in turn, there are many programs that help defend against them too. Suspicious links and files received in emails or from sites you should be dubious of can, and likely will, infect your computer. Steer clear of these sites and ensure all links you click on are trustworthy. Certain applications also may contain trojans, which lurk in your system for an extended period of time, only to reveal themselves when a certain application or service runs. Other applications can help spot and remove these before they even have a chance to set in. Many things can slow a computer down, but proper maintenance can keep it running like new for years. If you haven’t kept decent care of your computer and it’s running slowly, some of these causes, or even all, may be the reason, giving a starting base in fixing the issues at hand. 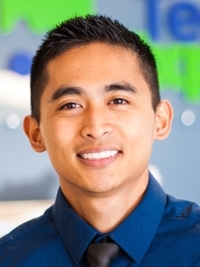 Michael Menor is Vice President of Support Services for Tech Experts. With all this talk about mobile devices like tablets, smart phones, and ultra-portable laptops, you’d begin to think that traditional desktop PCs are going to seem archaic. Depending on your needs, that can be the case, but desktops aren’t going away anytime soon – and for good reason. This has been the case from the very beginning – desktop PCs are capable of more powerful hardware. Desktops don’t need to worry about electricity consumption the same way portable devices do and components don’t need to be shrunk down into a tiny lap-sized chassis. This also allows better heat dispersion. All three factors give desktops the flexibility to utilize the most complex, cutting edge components that aren’t designed for mobility (yet). In other words, computer hardware manufacturers build new components, then work on shrinking those components into mobile sizes. This reason alone will keep the desktop alive – PC gamers, graphic artists, and multimedia buffs will always want high-end desktops. Of course, you don’t need the newest, cutting edge components to have a blazing-fast PC. You can easily get by with cheaper, previous generation components. Remember a decade ago when a desktop PC could cost thousands of dollars? It’s still possible (and easy for some) to spec out a high-end PC with that kind of price tag, but each additional dollar spent isn’t worth it unless you have VERY specific needs. Also, comparable hardware for a PC is significantly cheaper than similar laptop hardware. If you don’t need the mobility, you can save a pretty decent chunk of money just by sticking with a desktop. Let’s share a real-world tech scenario. Replacing a part on a desktop is a pretty simple task for a technician. In fact, with a little hand-holding, almost anybody could figure it out. Replacing the motherboard on a laptop, however, is an extremely cumbersome process. Depending on the model, it can involve over two dozen screws and a lot of time. Replacement parts aren’t as affordable as they are for desktops either. For smart phones and tablets, expect to ship those out to the manufacturer. It’s true! If you are lugging around a big PC case, a monitor or two, a keyboard, mouse, and power cables, it’s pretty likely you won’t accidentally forget it when you realize how light your luggage has become. All joking aside, because your desktop lives a pretty uneventful life without much movement, it doesn’t endure the little bumps, drops, and spills that laptops, tablets and other mobile devices take. It’s harder to steal too, so there is a little essence of security knowing your data is locked inside a great big aluminum box tethered to your desk with a web of cables. Have you moved on from the desktop PC completely or are you still holding on? Do you even want to go strictly mobile? Let us know and let us answer any questions you have. If you are in the market for a new PC, check out these tips on how to upgrade your PC and get more value for your dollars before you pull out your credit card. Nothing like an SSD to give you a more practical and noticeable performance increase. With more capacity and more chips and channels, you are guaranteed faster performance. You may want to add a new CPU if your computer is old and if the before-mentioned SSD does not entirely fulfill your needs. With more memory, your operating system will spend less time moving data to disk and you will be able work with more open apps and large files. While a touch screen might blow up your budget, you can opt for a 23-, 24-, 27-inch 1080p model for an affordable price and it will offer you a much better and productive computing experience. Explore the world of wireless, wired, touch and ergonomic keyboard and mouse models and choose one that makes sitting at your computer a breeze. After all, all our work is done with a keyboard and a mouse, and they need to be as much comfortable as possible. Are you out shopping for a new computer, but are unsure of what to buy as far as a laptop or a desktop? If so, here are some simple factors to keep in mind to make that decision. Because of the higher cost of computer components and assembling them, a laptop computer will be more expensive than a desktop model with the same specifications. If you are only going to be using the computer for basic tasks such as word processing and surfing the Internet, a laptop would be perfect for you. If you are more into playing video games or running video editing software, a desktop computer would be suited more towards your needs. It will have the memory to run those programs and the hard drive space to store everything. It may seem like a contradiction, but while desktop computers are getting smaller, laptops are going in the other direction because of the greater number of functions they are being asked to perform. A laptop is still more easily stored out of the way than a desktop. The laptop is the obvious choice if space is an issue. The real question to ask is whether the space which the computer will be occupied can be permanently sacrificed for housing information. If you are looking for portability then there is only one obvious winner here. However, it should be asked whether a computer is likely to get the most use out of it being placed in one spot or when it is moved around for use in different rooms. If you are going to use your PC at home, at work, and on business trips, then a laptop would definitely be the better value. The most important thing is being comfortable while using your computer; especially if you are going to be using it for long periods at a time. This can be a vital consideration in the choice between a laptop and desktop model. Their very lightness and portability work against people adopting a suitable posture when using a laptop. The name suggests they are more suited to being used sitting anywhere other than at a desk, which is not true. A bad case of hand, wrist, back, neck, or eye strain is too high a price to pay for portability and style. Laptops are less robust and more difficult to upgrade than their desktop equivalents. In general, your upgrade options for a laptop are limited to increasing the memory or replacing the hard drive for more storage. Desktop computers, on the other hand, offer almost unlimited upgrade options. An important thing to remember is damage to a laptop keyboard or screen will be much more serious than to a desktop because the vital working and moving parts have far less protection. I have noticed an interesting trend lately in our service department at Tech Experts. We have been seeing an increase in the number of laptop or notebook style computers in for service. While this may be due to the holiday season and students returning home from school to visit family, I also feel that the falling prices have lead to laptops being much more affordable then in the past. This got me to thinking about the comparison of laptops versus desktop and the advantages and disadvantages of both. Many times I have been asked “Which one is better laptop or desktop?” The short answer is “It depends.” It basically boils down to what you plan to do with the unit. Laptops are obviously an advantage for students who must travel not only back home and to school, but they also travel between classes and dorm rooms and restaurants. This portability is also an advantage for business travelers and mobile offices. It is hard to carry a desktop with you in your travels. And with the popularity of wireless “hotspots” in almost every public place, laptops will continue to grow in popularity. Some of the disadvantages I have seen with laptops are the ease at which the power jack on the unit can become loose and the power adapter cannot charge the battery, because the connector is broken and separates from the board – meaning no power is getting to the computer. This is typically caused by applying some type of force to the plug when it is plugged into the jack. Tipping the laptop so the weight of the unit rests on the plug will cause this problem and care should always be taken not to do this. While I am on the subject of power adapters, this is another disadvantage of a laptop. We had a call just the other day from a couple travelling from their home in Louisiana that forgot to pack their power adapter. No power adapter means you cannot charge the battery which means a useless laptop after a few hours of operation. In this case the couple purchased a couple of extra adapters from EBay and discovered it still did not work. After coming into our service department it was quickly discovered that their power jack in the laptop had broken. Another disadvantage to laptops is the ease at which careless operators can spill liquid onto the keyboard. If you do this on your desktop computer it is really not that big of a deal to purchase a new keyboard at the local computer shop, plug it in and off you go. Laptop keyboard replacement is much more difficult and can be a costly repair. You can’t just rinse the liquid out. Often the liquid that is still in the keyboard will dry and cause the keys to stick. Care should always be taken to keep all liquids away from laptops. Desktop computers, although they are not so portable seem to have longer lifespan then laptops. This is mainly due to the fact that they do not get moved very often. If you are going to move your desktop take extra care to treat it very gently as they do not take jolting and jarring well. I have had people mention to me they don’t like to type on a laptop. I prefer the feel of a laptop keyboard to a traditional keyboard, and all laptops can accept USB keyboards if you prefer. So it “depends” on your situation and requirements for your computing needs. 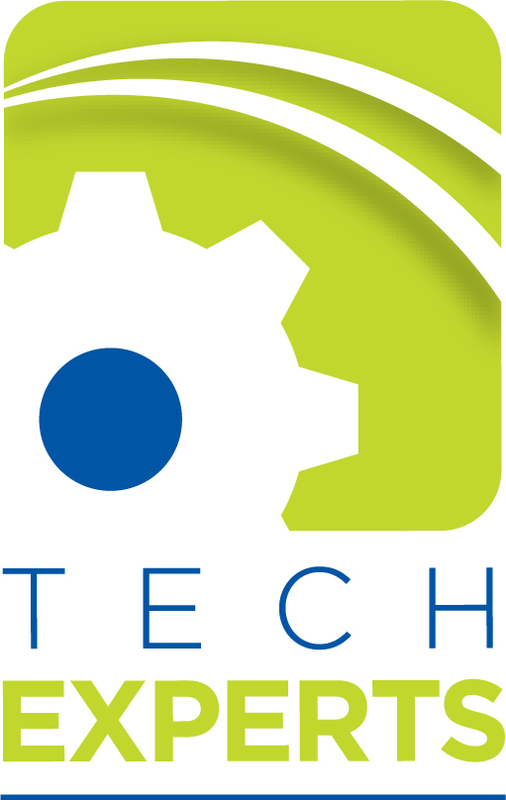 Call us at Tech Experts and we can provide you with the expert guidance needed to make the right decision.